Reliance Broadband Thunder Plans. These are the Reliance Broadband Postpaid Plans All India Applicable. Best Plans for Home users which seek Unlimited Bandwidth. Reliance Broadband offers Unlimited Broadband Plans for Home as well as Business users. High Speed, Unlimited Bandwidth Plans – Thunder Plans. Installation charges, security deposit & advance rental are payable at the time of caf signing. it gives more than 2 Mbps dude…reliance plans are awesome. I am from Vadodara, Gujarat. Today 10-5-15. my internet is not working from last 40 days and I have made last complain on 3-4-15. From last 40 days i call to CC every alternate day to know the status and each and evry time i am getting the same answer “EDP is down”. Even govt can finished their work with in 4 days if a complain raised. I don’t know what this guys are doing. I have seen more that 50 unsatisfied clients from Vadodara only and this clearly indicates that employees from Vadodara branch are not willing to work. Company’s reputation is spoiling. It is my request to Reliance to shut down the office in vadodara so the reputation will not get spoil anymore. Because your team at baroda totally failed in delivering the services. I never criticized but you guys made me to do that. Plz reliance ka network bekar hai…..
Free bill ja raha hai nahi chal raha speed se. I agree with Rajesh Shrimali. I am vimal from rajkot. since a few month i using reliance broadband. but regarding service they are pethetic, the even dont reply you. even in customer care after registering a complain, they close complain automatically without concerning a client. I terminet for cancellation of broadband. even rajkot technician and office has same situation. even i found from one technician that reliance dont pay electric bill of DNS hub on timely manner. due to that power cut and all clients facing same problem of dis connectivity. for that who feels that deals n speed is good. let me aware to them. i feel same so i choose reliance for speed. but service of complain makes you so tired that one day you will disconnect with reliance broadband. rest its upto your decision. So which Internet Provider you using now Vimal? I complaint many time to customer care but they not replying well. I have complaint number 247489640, Now if i call him then customer care says that its not correct phone number/User ID/Subscriber ID. So now what to i do, they are not providing services to us. i am not satisfied with this, Now i am changing in the internet connection. 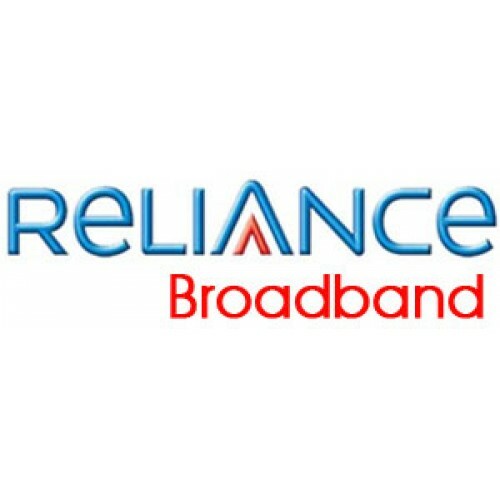 I was using Reliance broadband connection at Delhi, but recently I shifted to Chandigarh city and I switched to CONNECT broadband FTTH service. Really it is amazing. CONNECT is providing me 50 Mbps bandwidth on optical fiber connection. You can also see the FTTH plans for chandigarh at http://www.ConnectCare.in and Judge the difference.